Makakilo is located on the southern end of the Wai'anae mountain range, just North of Kapolei. Maka Kilo means "observing eyes" in Hawaiian, which is a very fitting name as there are fantastic views of Ko'Olina, Diamond Head, and the South facing shores. Kahiwelo Park has a parking lot, bathrooms, large playing field, a basketball court, and jungle gym designed for older children. Kapolei Greenz is a local plant nursery located just inside Kahiwelo. They have a wide variety of plants and trees for your new home. *This page is under construction. Check back soon for more exciting information! Based on information from the Multiple Listing Service of Hicentral MLS, Ltd. 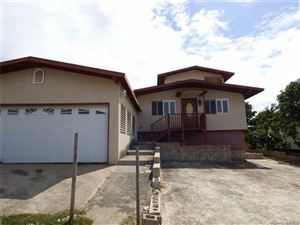 Listings last updated on Apr 19, 2019 9:31:pm. Information is deemed reliable but not guaranteed. Copyright: 2019 by HiCentral MLS, Ltd.